This is crazy; a lot of people think going to war is easy. People fail to realize that just because your arm does not blow up does not mean you body does not deplete. 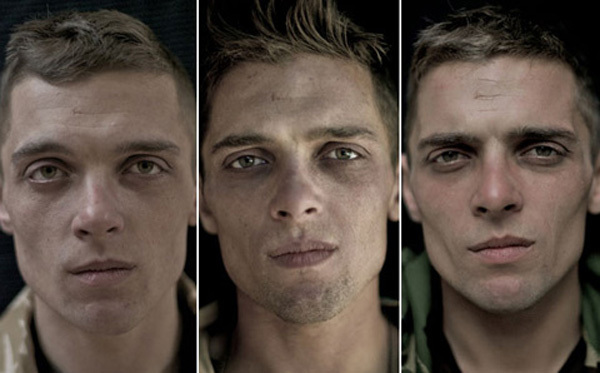 I am really in shock, and kind of feel bad, I wonder what does the government or the army does to prevent the soldiers from looking like this after a war. But as I think I feel like there is nothing really that you can do; it is almost like a football player after so many hits your body starts to deplete. A football may come in walking the same but after they are done they walk with a limp. Relaying this to football is the only way I can grasp why the man starts from looking healthy to looking like he did crack. Wow, this picture really shows how the soldiers endure so much mentally and physically. Growing up, my dad was in the military and he says that he constantly fears for his life. I know he had seen somethings that cannot be unseen and I can’t imagine how hard it is for them to be able to unthink such awful events.